Dallas, TX – Aug. 30, 2018 – Dr. Chandler George, founder of Catchfire Coaching, announced that he will conduct the first Growth Hacking Summit. The two-day event will provide doctors and entrepreneurs with an e-commerce blueprint and marketing strategies for attaining best-seller status on Amazon. The Growth Hacking Summit will be held on Friday and Saturday, Oct. 13-14, 2018 at the DFW Hilton Garden Inn, located at 2001 Valley View Lane in Irving, TX. Tickets are now available online and space is extremely limited. The cost is $347 for those that register before Sept. 16, 2018. After that date, the cost is $497. Headlining the Summit will be e-commerce industry leader, Billy Vito La Venia, owner of the master distribution license of Mavala Switzerland. He manages online sales, marketing, trademark and intellectual property rights for a wide variety of enterprises, including the Fortune 500 company Helen of Troy. Also presenting will be Dr. Chandler George, CEO of Market My Small Business and founder of Catchfire Coaching. The doctor and businessman has started and launched seven healthcare businesses entirely from scratch. For more than 20 years, he’s been assisting small businesses and physicians in private practice improve their marketing success, scaling them past seven-figures annually. Attendees will also have the pleasure of hearing Matt Patterson, a two-time Amazon No. 1 best-selling author, with over 20 years in marketing communications, media relations, and print and broadcast journalism. Peterson will share his personal secrets on how to turn a personal story into a professionally published book. He’ll show Summit participants how to turn their book into an Amazon best-seller, just as he’s done for 16 of his clients. Individuals will learn how to become a legitimate, best-selling Amazon author without typing a single word, how to choose products to sell online, and discover YouTube marketing strategies. Attendees will learn how to automate the marketing, sales and distribution process. Being a best-selling Amazon author confers credibility, authority and greater visibility that can be leveraged to maximize speaking engagements, joint ventures, partnerships, and even influence the sale of a business. The first annual Growth Hacking Summit Oct 13-14, 2018 provides individuals with an e-commerce blueprint from a national industry leader. Attendees will gain the knowledge, tools and resources needed to build an e-commerce business from scratch and become an Amazon best-selling author that can be used to scale their business to a seven-figure level. Dr. Chandler George is one of the foremost authorities on Internet marketing for medical practices, a licensed chiropractor and the owner of numerous med-spas and clinics. 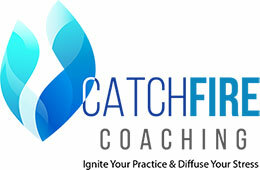 The founder of Catchfire Coaching and Market My Small Business has over 20 years of experience in the field of Internet marketing and is the preeminent consultant to those in the health and beauty industries. He’s now utilizing his time, talents and expertise to show individuals how to live a more balanced and fulfilling life.